The Darien Woman’s Club (DWC) initiated a campaign in the 1970s to create a public library for Darien. The establishment of a public library in Darien would become the DWC’s overriding goal for almost a decade. After a DWC-sponsored survey revealed that the community supported bookmobile service, the Club signed a contract with the Suburban Library System. The Club raised $5,000 through door to door donations, baseball games and card tournaments.The City of Darien contributed $3,100 to fund the bookmobile service. After a successful year, the DWC raised another $6,000 to keep the bookmobile service for a second year. Louis Both, a member of the ad hoc library committee and trustee for the bookmobile, proposed a referendum for the creation of a library district which would exist as its own taxing body with its own elected officials. Despite the overwhelming success of the bookmobile service, in July 1973 a referendum to create a public library district in Darien failed. When the City could no longer contribute to funding the bookmobile the service ended. 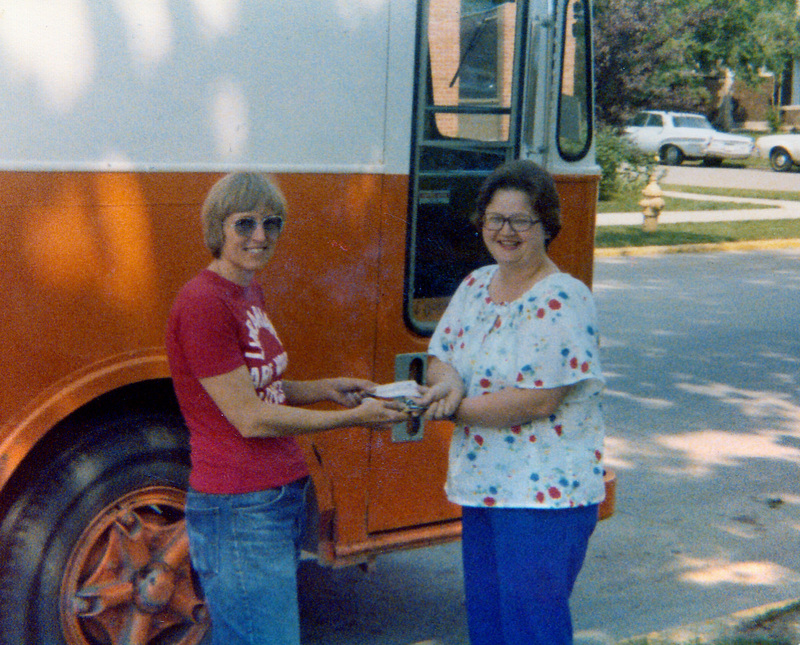 In 1976, the Darien Woman’s Club and supporters of the bookmobile service revisited the creation of a public library in Darien. Mary Deardorff and Anita Simester spearheaded the DWC’s Project Read (Read Educate Activate Darien). Project Read surveyed residents to assess whether or not there was sufficient community interest in a public library. When the results indicated two to one support for a public library district in Darien, the DWC agreed to fund the costs of another referendum. The referendum was shelved when Darien School District # 61 decided to seek a referendum. Upon the city’s request, Project Read and other library supporters formed an ad hoc library committee to meet with a city committee to discuss ways to establish a library. 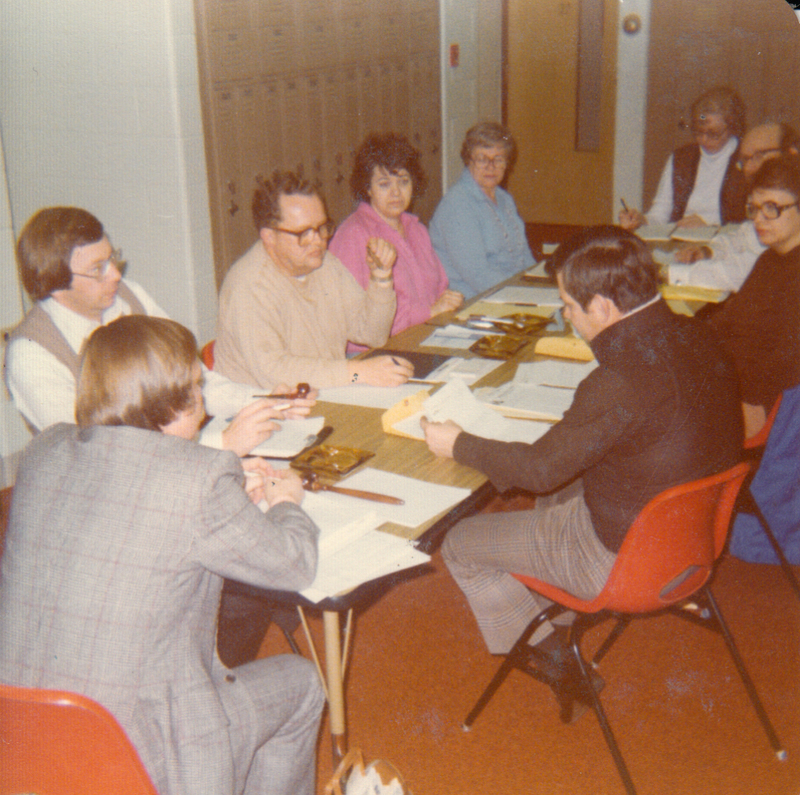 Members of the ad hoc library committee included: Chairman Louis Both, Mary Deardorff, Robert Bowden, Virginia Koss, and Lori Speckmann. 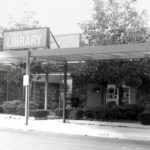 By the fall of 1977, with the support of the ad hoc library committee, Ward 1 Alderman Mike Merriman chairman of the Administrative/Finance committee decided to bring a recommendation for a city library before the Darien City Council. Although Louis Both and ad hoc library committee favored a library district, he and the committee supported Alderman Merriman’s recommendation for a city library noting that a future referendum could be held to form a library district. A city library would be funded by the city which would appoint the library board—and pursuant to Illinois law could be created without a referendum. Residents who opposed a library did not want to pay additional taxes, and feared that the city council would approve a library without holding a referendum. On December 12, 1977, Merriman’s proposal for a city library was defeated six to two. Instead the council agreed to hold an advisory referendum on the library issue at the next general election on February 19, 1978. When the referendum showed two to one that residents opposed a city library, the City Council dropped its motion. The ad-hoc library committee decided not to move forward with its proposal for a library district. Undaunted, the DWC continued to raise funds and assess the community’s support for a library. After the referendum defeat, the Darien Woman’s Club held a public meeting to determine whether residents would support a volunteer-run library. 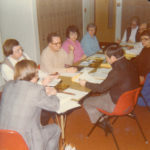 On June 8, 1978, the Darien Volunteer Library (DVL) held its first meeting and elected Robert Kampwirth as board president. Other board members included: Louis Both, Mary Ann Bowden, Robert Bowden, Anne Byrnes, Russell Deardorff, Mary Deardorff, Christine DiBartelo, Lori Gustafson, James Koss, Lillian Lela, Jerome Martin, Michael Merriman, Daniel Siebert, and Mary Siebert. Individuals who lived within a five mile radious of 75th and Cass were eleiglibe to join the DVL. The DWC quickly purchased a bookmobile for $3,502 from the Chicago Heights Public Library to serve as the Darien Volunteer Library’s building. The DWC sold library memberships at their annual Crafts Fair: $5.00 for a family membership, $250 for a life membership, $100 for an annual sponsor, $50 for a patron, and $25 for a contributing member. Residents responded so generously with book donations that the DVL placed book drops at the White Hen Pantry in the Hinsbrook Shopping Center, the State Farm Insurance office, Convenient Center, and at the Chicago Savings an loan on Cass Avenue. Darien School District #61 donated space in north parking lot for the bookmobile’s location. The bookmobile made its first appearance in the Independence Day Parade, and opened to the public on October 14, 1978. Volunteers collected over 3,500 books that they catalogued for opening day. By October 1979, the DVL had 400 family memberships and 10,000 books in circulation. School District 61 donated a small house on 67th Street where the library stored its overflow of donated books. The collection and use of the library quickly surpassed the bookmobile’s space. When a music store moved from Brookhaven Plaza in February 1981, the DVL rented the 900 square foot space. Although this space was bigger than the bookmobile, it was also too small for the growing library collection. When a larger space became available, the DVL relocated to a second storefront location of 2,000 square feet. In 1981, the DVL board received a grant for a demonstration library to serve Darien and unincorporated areas adjacent to the city. The grant required that a referendum on the establishment of a tax-supported library be held within one year. 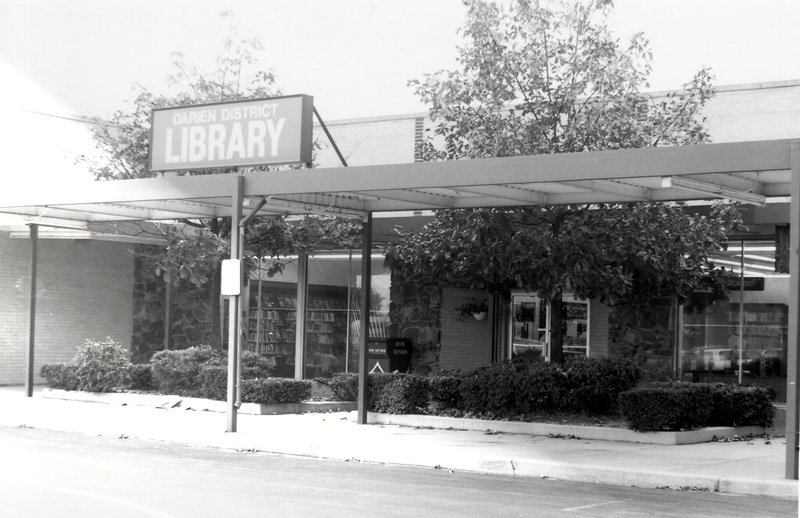 In March 1982, nine years after the DWC’s first referendum, residents approved the establishment of the tax-supported Darien Public Library District. When the 6,000 square feet space that Massey’s Drapery became available, the library moved to this location with plans on remaining in the space for at least five years. The Darien Library District’s storefront was within one mile of the Willowbrook Public Library’s storefront location. Both libraries struggled with inadequate funding and space for their collections and services. After reviewing their options, the libraries merged to become the Indian Prairie Public Library District on July 1, 1988.